Had this incredible story been not so well documented by numerous well educated and highly respectable individuals, some would certainly struggle to believe it. Nevertheless, the numerous persons who have personally witnessesd these extraordinary events have all testified as to the authenticity of the supernatural manifestations that transpired at the Livingston home beginning in 1794, and culminating with the Livingston's surprising conversion to the Catholic Church. John Adam Livingston was born in Lancaster County, PA in February, 1739. When he was age 33, he inherited his fathers 70 acre farm in Smithfield, Va. (which has since become Middleway-Kearneysville, Jefferson County, West Virginia) and moved his family there in 1772. Adam and his wife were were practising Lutherans who had three sons and four daughters. The Livingston family is plagued by an unexplainable series of unfortunate events. The historical records state that while still living in Lancaster County, Pennsylvania, the Livingston family was plagued by numerous negative events, such as the death or sudden disappearance of livestock, failed crops, items suddenly missing or found broken, strange scratching and other unaccountable noises in the house etc. And so it was with a certain joy and hope that Adam inherited his fathers 350 acre farm in what was then Smithfield, Virginia, for the entire family had hoped that moving out of their current home and into a new one in Virginia might relive them of the dark events that were opressing them. Unfortunately the string of evil events continued to occur in their new home with the scratching at the walls, sounds of footsteps and other strange noises, financial losses because of the death or sudden disappearance of livestock etc. This part of the story is not related in all of the historical documents, but I will include it here as it may have some bearing on the case. One day in 1794, a middle aged man knoocked at the door of the Livingston family home and asked to lodge their. Adam agreed to this request out of charity for a stranger. A few days after the arrival of this traveler he suddenly became ill and as his illness became more threatening he called Adam Livingston to his bedside and told him that he was a Catholic. He then requested that a Priest be summoned as he apparently felt that his sickness was life threatening. Livingston, who at the time was a Lutheran who was not very favorable to the Catholic church, unkindly replied "that he knew of no priest in that neighborhood, and if there was one, he should never pass the threshold of this door." Once again the dying man repeated his entreaties for the spiritual assistance of a Catholic priest, but Livingston refused his request because in his own defense there was no Catholic churches nearby, and neither did he know of any Catholic priests in the area. 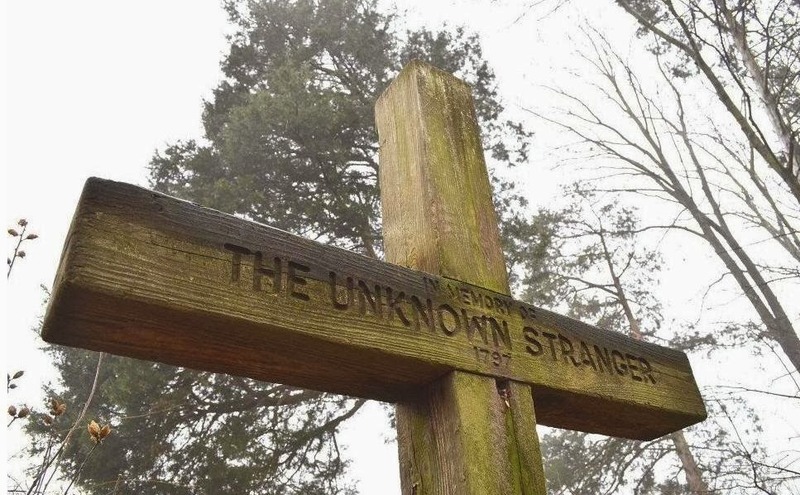 Soon afterwards, the stranger died without even his name being recalled by Adam, along with there being nothing among his papers to throw any light upon his identity. And so it was that on the night of the strangers death, Adam Livingston employed a man by the name of Jacob Foster to sit up with the corpse, out of respect for the deceased. But as darkness fell and candles were lighted in the room of the deceased, they suddenly all went out, and the room was left in darkness. Mr Foster then attempted to relight them several times, thinking the candles were defective or perhaps where extinguished by some sudden breeze (which he attested later that he never felt) but the candles kept being suddenly extinguised without any apparent cause. Notified of the strange occurance, Livingston then brought two candles into the room which he had been using in his own family room, which were about one-third burnt down and which he knew to be good. But so soon as they were placed in the room with the corpse they became immediately extinguished. This remarkable event so alarmed Foster that he abandoned the vigil and immediately left the house. The next day, with the help of neighbors, Adam Livingston buried the stranger on his property, without of course being able to mark the grave properly since he did not know the man's full name or date of birth etc. Soon after the burial there began the negative events described at that time as the "Wizards Clipp". It all began with the peace of Livingston family being greatly disturbed by the apparent sound of horses galloping around their house. On the first night of this occurance, Mr Livingston investigated the strange sounds and he frequently rose during the night but was unable to ascertain any cause for the strange galloping sounds. While he and his family could distinctly hear the tramping of horses, none of them could seem find the cause or the source of the disturbing noises. During this time his barn was burnt to the ground and number of his cattle and livestock either died or strangely disappeared. Inside the family home, the cookware was thrown upon the floor and broken without any apparent cause, and a strange bells would clang, disturbing its hearers. Along with the dead or missing livestock and phantom bell clanging he additionally reported a string of other negative events such as a sudden disappearance of coins, the heads of his turkeys and chickens being strangely removed and burning embers of wood suddenly leaping from the fireplace several feet out onto the floor, endangering the house and its frightened and bewildered inhabitants. Soon the negative events which were destroying the peace of the family assumed a new form. One night the sound of a large pair of shears (scissors) could be distinctly heard in his house, clipping in the form of half moons and other strange shapes and figures his blankets, sheets, tablecloths, shoes and clothing. 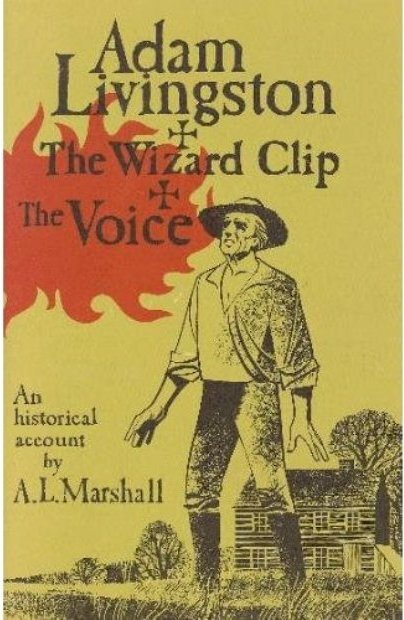 Thus began what was soon called "The Wizard Clip" or "The Livingston Wizard" because of the incredible clipping that continued daily for upwards of three months. By this time, the news of all these strange events was spread through the countryside for thirty miles around, and especially attracted the local citizens of Smithfield. An old Presbyterian lady of Martinsburg, hearing of the strange clipping that was going on at Livingston home soon arrived to satisfy her curiosity. Before entering the door she took from her head her new silk cap, wrapped it up in her silk handkerchief and put it in her pocket to save it from being clipped, if such stories were even true, she thought. After her visit she stepped out of the Livingston home and while doing so she drew out of her pocket her handkerchief containing her new silk cap, and opening it to her shock and horror she found the cap cut in narrow ribbons. Soon afterwards came to the Livingston home three adventurous young men from Winchester who were friends, declaring their utter disbelief of the strange reports and requesting to sleep in the house in an effort to refute all that was said to be going on the home. However, a few moments after they became seated in the house, a large stone was seen to proceed from the fireplace and to whirl around the floor with great velocity, which immeditately caused the once daring young men to hastily leave the home in utter fright. And add to these already amazing events, many visitors reported a alleged "rope" that appeared to be blocking the road leading up to the Livingston house, however when those who saw it attempted to grab or move the rope, it was found to be immaterial, and thus it was termed as the "phantom rope" by some. The purpose of the phantom rope, it is thought, was to deter people from visiting the Livingston family for it is often a tactic of the demons to isolate those of whom they are attacking and oppressing. Meanwhile, the extraordinary negative events were taking a deep toll on Adam Livingston and his family, as can easily be imagined. Everyone knew that the source was evil. The loss of their farm animals and other similar events caused by the strange events where taking a deep toll on not only the Livinsgton familes financial resources, but even moreso on their mental and emotional peace and well being. At first Adam sought the help of his local Lutheran minister, whose efforts did not help according to the records. It is said that after consulting his local pastor he also sought the help of two Methodist ministers, according to the testimonies, but apparently neither of these individuals were able to help with the extraordinary manifestations that were plauging himself and his family. However one night, Mr. Livingston had a extraordinary dream. He saw a beautiful Church and in it was a “minister dressed in peculiar robes” and he heard a voice say to him: “That is the man who can relieve you.” Upon coming out of his dream, he immediately decided to seek out the man in this vision at all costs. That morning he set out for Winchester and sought Rev. Alex Balmaine, an Episcopal minister, knowing that Episcopalian preists dress in such "robes". Reverened Balmaine convinced the thoroughly frightened man that he was not the robed individual he had seen in his vision and that he was not in the business of removing "spells, ghosts, and things of that nature." However it is said that Rev. Balmaine suggested that he consult a Catholic priest, 'since the Catholic church is more familiar with such things'. So with reservation because of his Lutheran background, Mr. Livingston asked around about finding a Catholic priest. He was directed to the home of a devout Catholic family named McSherry. Late that evening Mrs. McSherry saw Mr. Livingston, whose farm was about four miles away, coming toward her house and she met him at the gate. When he asked to see a priest, she told him there was no priest there then, but that one would be celebrating Mass at a home in Shepherdstown the following Sunday morning. On Sunday, the McSherry family met Mr. Livingston in the Catholic home in Shepherdstown. As soon as the priest, Father Dennis Cahill of Hagerstown, appeared at the altar vested for Mass, Mr. Livingston suddenly burst into tears and exclaimed, "That is the man I saw in my dream! He is the one who will relieve me!" When the Mass was over, going right to the priest, he poured out his sad story and earnestly begged him for help. After some persuasion, Fr. Cahill agreed to visit the haunted house. The priest questioned the whole Livingston family, children and all, and they all told him exactly the same stories concerning all that was happening. He therefore consented to say some simple prayers of exorcism along with sprinkling the house with Holy Water. To everone's utter amazement, as Father Cahill was leaving, a sum of money that had recently mysteriously vanished from the farmer's locked chest was suddenly laid by what seemed to be invisible hands on the doorstep near the priest's feet! Needless to say all were surpised, and Mr and Mrs. Livingston were overjoyed at having suddenly been given back their lost sum of money. According to the written testimonies, the "poltergeist" activity stopped for some days after Father Cahill's prayers and blesing, but then suddenly began to occur once again. This time Mr. Livingston immediately went to Father Cahill and explained the recent events. Father Cahill came to the Livingston family home once again, interviewd the family concerning the recent events, and this time he celebrated holy Mass inside of the home. The supernatural activity immeditately stopped, and afterwards the weeks and months passed in a renewed peace and calm for the Livingston family. 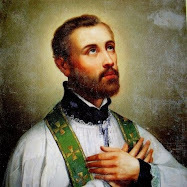 The remarkable spiritual help of the priest -who it seems was the only one who could help- made a huge impression upon Mr. Livingston and his family, and also the neighbors who had witnessed the unfolding of the amazing events. News of the remarkable events in the Livingston home and the families subsequent surprising conversion into the Catholic Church reached even the distant Archdiocese of Baltimore, where the United States first Bishop, His Excellency John Carroll (1735-1815) caught wind of the remarkable story, and thought it prudent to send a holy and learned priest Father Demetrius A. "Smith" Gallitzin (photo left) to further investigate the matters. And so it was that the learned Jesuit priest was sent by his superiors to investigate these strange happenings at Smithfield, Va. (or "Cliptown" as some were now calling it). The 27 year old Father Demetrius A. "Smith", was born Prince "Mitri" Gallitzin, the son of a German countess and a Russian prince-ambassador of the Empress Catherine the Great and was well educated, had attended several top schools in Europe. This Prince-Priest of Pennsylvania later became known as the "Apostle to the Alleghenies" and his cause for canonisation is well underway, as he has currently been declared a "Servant of God" by the Catholic Church. He was also known as Augustine Schmidt (or Smith), a name he assumed (in his humility) to hide his noble birth. Before arriving at the Livingston home, Father Gallitzin was initially very skeptical, and it was his intention to disprove of the alleged events through science and/or psychology. Concerning this he wrote "My view in coming to Virginia and remaining there three months was to investigate those extraordinary facts at Livingston's, of which I had heard so much...and which I could not prevail upon myself to believe; but I was soon converted to a full belief of them. No lawyer in a court of justice did ever examine or cross-examine witnesses more strictly than I did all those I could procure." For some reason, the odd disturbances recommenced upon his arrival, with a volley of strange knocks and clanging sounds, all without a material source. He quickly came to the conclusion that the source was demonic, and as he related afterwards to Reverend Bradley (a priest-friend of his), that he immediately began to exorcise the evil spirits with prayers of the Church. However as he commenced praying, the rattling and rumbling increased as if coming from innumerable horse driven wagons which filled the house, rattling his nerves to such an extent that he has to stop the prayers of the simple exorcism. After a few moments of reflection he came to the conclusion that he needed the assistance of Father Cahill, who returned with him to Livingston's, and bidding all of the family to kneel down, together they commanded the evil spirits to leave the house and cease all the disturbances. After what seemed like some resistance on the part of the evil spirit(s) they were finally conquered and compelled to obey the priests. The unpleasant manifestations were gone for good, and never returned. And then began an extraordinary time of grace for the Livingston family. For scarcely had the Livingston family been relieved from the renewed torments of the spirit(s) than they were visited by a consoling Voice, which remained with them for seventeen years. It has been strongly believed that this Voice came from some soul suffering in purgatory, very likely a priest because of the Voice's knowledge of Latin and liturgical hymns, who for some reason was permitted by God to visit, console and to instruct the family in the Catholic faith. Many suppose that all the supernatural events that occured to the Livingston family over the years--both the evil manifestations and later the mystical Voice, were all willed by God to give evidence to the truth of the Catholic faith, and the power of the Church and Its priest-representatives. And so it was that one night a bright light awoke Mr. Livingston, and a clear, sweet voice told him to arise, call his family together and to pray. He did so, and the mysterious Voice prayed with them, guiding and leading their prayers. After prayers the Voice from the other side then spoke to them, in the most simple yet eloquent manner, of all the great mysteries of the Catholic faith to which they had recently assented, but with only a limited instruction and understanding. But now these truths, dimly understood before, yet accepted with faith because the Church gave them, now became clear, intelligible, fascinating and even more beautiful in their extraordinary truth. Good and evil, and the power of Jesus, His Church and Its representatives over the devil and his demons were made manifest to the Livingstons and all who knew them in a most extraordinary and unforgettable way. One day when Mr. Livingston was working in the fields with his sons, all of a sudden he was apparently taken ill, for they saw him turn deathly pale and double up. As they helped him to walk home, he explained that he had just heard a soul in Purgatory screaming for help. And later he often said that he could never forget that terrifying shriek which made a permanent impression upon his heart and mind, and made him always mindful of the suffering souls in need of our prayers. One night the Voice made the Livingstons get up three times to pray for a certain soul in Purgatory. And when one of the girls began to think- "...after all the souls could have saved themselves and so they have deserved their pains! And besides the whole thing is exaggerated" when suddenly they all heard a voice shrieking: "Help! Help!" 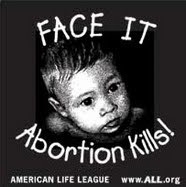 When asked what kind of help was needed it replied, "Prayers, for we are in excruciating torments!" At that moment a human hand was burned into a nearby piece of clothing, leaving the spaces between the fingers not scorched. The entire family saw both the flame and the hand. 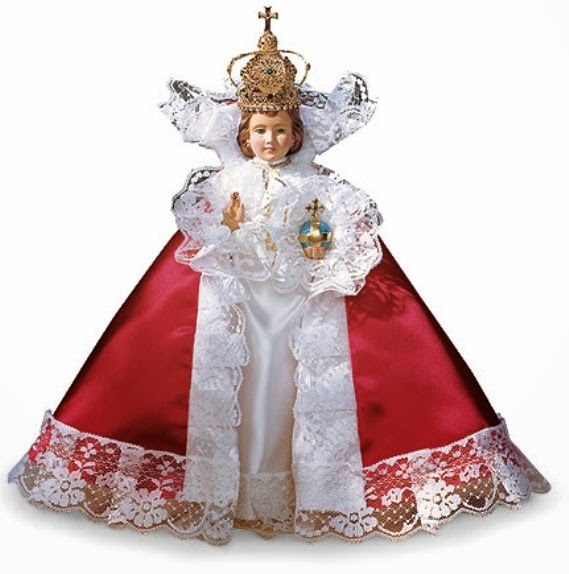 Father Gallitzin asked for and was given this extraordinary piece of clothing with the burnt hand impressed upon it, and later he often showed this "relic" while giving testimony to the supernatural events that occurred in the Livingston home. On another occasion the mystic Voice once asked Mr. Livingston to pray for three hours for the soul of a "Fr. Pellins" (Jesuit Father James Pellentz, S.J., Bishop Carroll's recently deceased Vicar-General). 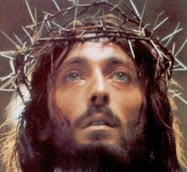 Among other things which they could remember to repeat to others, the mysterious Voice said that "all the sighs and tears of the whole world were worth nothing in comparison with one Mass in which a God Himself is offered in reparation for the sins of the world." It exhorted them to have boundless devotion to the Blessed Virgin Mary, and It continually implored them to pray for the suffering souls in purgatory, whose agony the voice could never weary of describing. It also urged all the members of the Livingston family to charity and hospitality towards others, to simplicity, modesty and chastity in ones dress and in one's actions and behaviour; it would reprove them when they sinned against the Gospel and the commandments of God, and would encourage them to various voluntary penances and sacrifices, along with encouraging them in fasting and prayer. And whenever the Voice came –sometimes accompanied by the bright light- it would begin by saying "In the Name of the Father and of the Son and of the Holy Ghost". Mr. Livingston, to whom the Voice most often addressed Itself, was made Its agent for innumerable good works; he would be awoken at night to undertake long journeys to persons taken suddenly ill, or those suffering hardship; he would receive messages without any explanation, which he was told to give at once to various people, and the messages would soon prove to be of immense relief, amazing prophecy or of timely warning. It foretold events which were often later verified, and explained the meaning of current events. Upon one occasion Mr. Livingston and his family were together in one room, when there suddenly appeared among them a young man, very poorly-clad, and surprisingly barefooted even though it was a bitterly cold day. They asked him where he came from and he answered "From my father"
"And why are you here" they asked. "I have come to you to teach you the way to him" he replied. He stayed with them for three days, instructing them on all points of Christian doctrine. In regards to his bare feet, they asked him if he was not cold, thinking of offering him a pair of shoes, he replied that in his country there was neither heat nor cold. When the moment came for him to leave the house the same idea occurred to each of them, that as they had not noticed when he came in, they would watch and see in what direction he took when going away, thinking perhaps to follow him to see where he was going. They saw him go into a lot in the front of the house and then watched in amazement as he seemingly suddenly disappeared. At that time there was no permanent priest settled in the area as it was not only rural but inhabited primarily by Protestants of various denominations. In fact there were very few Catholic books to be had even in the large cities, but Bishop Carroll, Fr. Gallitzin, Fr. Brosius, Fr. Cahill, and Fr Pellentz along with other clergymen who conversed with Mr. Livingston and his family were astonished at their deep knowledge of the Catholic religion, and were all convinced that they indeed had been instructed from above. The Voice from beyond revealed to Mr. Livingston that it had once been in the flesh just as he was, and that if he persevered in the faith he would know who it was before his death. But he must have taken the secret to the grave when he died in 1820 because the record does not reveal anything further in this matter. The Voice, having sung three times very beautifully in Latin and in English, the Livingstons therefore naturally thought that their mysterious visitor had perhaps been a priest. On one occasion the Voice requested the Livingstons to keep a forty days fast with three hours of prayer each day. It also commanded them to keep March 4th each year as a special holy day, in thanksgiving for their conversion. And it was on that day, at the end of the forty days fast, that Mr. Livingston heard It sing so beautifully, as also on one All Souls Day. The Voice said that the souls in Purgatory rejoiced greatly on All Souls Day(Nov 2) which is the special day in the Church year where the whole Church is praying for them. As the years passed the Voice continued to join the family in their prayers, saying the Rosary with them and instructing them how to pray well. It also explained the Mass to them and stated that "One Mass was more acceptable to Almighty God than all the sighs and tears of the whole world put together, for it was God, a pure God, offered up to God." Father Gallitzen reports some interesting details about Mr. Livingston's second wife, who according to the record also heard the Voice quite often yet for some reason she became opposed to it, and she even endeavored by every means in her power to falsify it. Among other things, It had said she would die in her own house; and in fact she fell gravely ill at the house of a quaker family of whom she was visiting, and to prove the Voice wrong, she absolutely refused to be taken home, but soon afterwards she was forced to beg to be carried back, and died in her own house, as predicted. 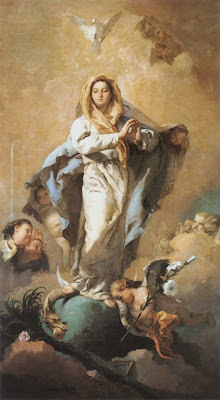 On another occasion the Voice stressed what a blessing it is for us to have the merciful Mother of God as our heavenly Advocate and that She has great power on behalf of poor sinners. Yet apparently because Mrs. Livingston, who had been a Presbyterian, was somewhat stubborn about honoring the Blessed Virgin, the Voice insisted that in the second part of the Hail Mary they all say three times "Holy, Holy, Holy Mary, Mother of God..."
Mr Livingston's second wife herself used to say that she was "the Judas of the family", and she constantly tried to falsify whatever the Voice said. One Thursday evening when some meat-soup was left after dinner, she decided to serve it on Friday and brought it down to the cold cellar. But the next morning she found the pot in which she had left the soup filled with exactly the same quantity of clear water! And the Voice then told her that It had done it, for "it was more proper to take water than to violate the rules of the Church!" Mrs. Livingston herself confessed to the neighbor Mrs. McSherry this whole occurrence. She also stated that the Voice had said, "If she would not submit to the rules of the Catholic Church, she would open her eyes in Hell." In "The Life of Father Demetrius Augustine Gallitzin, prince and priest" by Sarah M. Brownson we read "Fourteen persons were converted in one winter by these things, which were well known and widely discussed; others, influenced by the account of them, received clearer impressions of the reality of another world, of the close proximity of the evil one, and of the intimate union between the Church militant and the Church suffering, from which they were moved to the serious practice of virtue, and to endeavor to live as they would wish to die." As the weeks and months of his stay progressed, Father Gallitzin and Mr. Livingston befriended each other and they remained close up until Livingston’s death. The servant of God Fr. Gallitzin soon afterwards became known as the "Apostle of the Alleghenes" by spreading his zeal and devotion to the Catholic faith throughout Pennsylvania and beyond, however he often visited Mr. Livingston, and we read in Father Gallitzin's memoirs that the mystic Voice through Mr. Livingston prophetically prepared and guided him for all the trials and sufferings that was to come from his apostolate and mission in Pennsylvania and abroad. “Mr. Livingston moved from Virginia to Bedford County, Pennsylvania, where he died in the spring of 1820,” stated Fr. Gallitzin in his memoirs. “I had Mass at his house quite often. Mr Livingston continued, to the last, very attentive to his christian duties, but did not receive the rites of the Church in his last sickness, which carried him off too quick to afford any chance of sending for a priest.”. In his writings, Father Gallitzin wrote elsewhere about Mr. Livingston stating: "...soon after (Fr. Gallizin's arrival which coincided with the end of the first part of events) he became a most edifying member of the Catholic Church." Considering the many conversions to the Catholic church that stemmed specifically from the events that occurred to the Livingston family, several historians have come to the obvious conclusion that the occurances there were primarily for the building and the spread of the Catholic church in the early American colonial period. The news of astounding events had spread far and wide across the countryside, and it gave remarkable evidence to the power and truth of the Catholic faith, and the power given to It's priests who were able to rid the Livingston's of the demonic that was terrorising them, when all the other christian denominations failed them. In 1802, Adam Livingston and his family moved back to Pennsylvania, thereby spreading the story even further abroad, all the while the mystical Voice continued to guide Adam and his family for 17 years. The site becomes known as "Priest Field"
While still in Virginia, one day the Voice told Adam that his land "would one day become a great place of prayer". In gratitude for all the graces that he and his family recieved through the Catholic church, Adam Livingston deeded 34 acres of his farmland in Smithfield, Va. (which has since become Kearneysville, Jefferson County, West Virginia) to the Catholic church, and the tract soon became known as "Priest’s Field." The term of course came from the Livingston's assumption that the mystical Voice was that of a Priest who had passed into the next life. Initially the land became a cemetery, however in 1923 a Chapel was built on the land by the faithful in honor of the souls in Purgatory. The Chapel soon became a place of pilgrimage and devotion, especially in honor of the Holy Souls. In 1922, there was a large celebration on the property beginning on All Souls Day (Nov 2) commemorating the 150 year anniversary of the events, as written in an article on Thursday, Nov. 9, 1922 in the The Shepherdstown Register entitled “At the Priest’s Field". The Right Rev. Dennis J. O’Connell, bishop of the Catholic Diocese of Richmond, Va., celebrated three Masses for the repose of souls. The chapel in honor of all the souls in Purgatory still remains today (see photo above). In 1978 when a retreat center was built on the tract, aptly named PriestField Pastoral Center, it belongs to the Diocese of Wheeling-Charleston. Part 2 of this story: "The Wizard Clip & Mystic Voice -A newspaper article from 1926" can be read here. 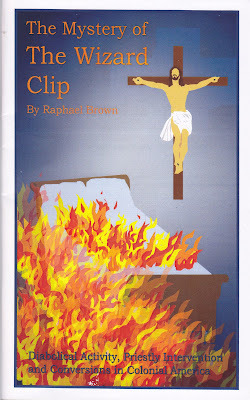 -"The Mystery of the Wizard Clip", by Raphael Brown, Loreto Publications. -"Life of Demetrius Augustine Gallitzin, prince and priest" By Sarah M. Brownson, 1873, availible for free in its entirity here. WOW! This is really amazing and inspiring. I had never heard of this story before. Thanks for posting this! I have read portions of this story on small tracts on the holy souls. I didnt realize who the people were until know. If anyone from the Bedford or Blair Co.PA area knows the location of the farm where A. Livingston died in 1820 it would be historically important as the "voice" promised to stay with him. 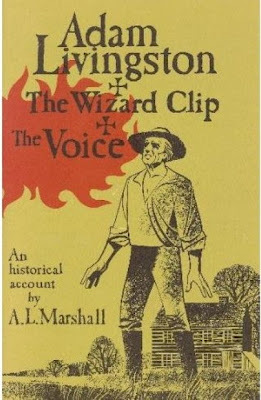 Many of the local Livingston's are unaware of this "Clip" history. I have read alot about the Catholic church but I had never read about this great story...it is an awesome and inspiring read! Thanks! Eternal Father, I offer Thee the Most Precious Blood of Thy Divine Son, Jesus, in union with the Masses said throughout the world today, for all the holy souls in Purgatory, for sinners everywhere, for sinners in the universal church, those in my own home and within my family, Amen. Thanks for writing up this story, one that I have been familiar with since childhood. This place is not far from where I live. I grew up hearing this story. The local pastor told my mother about it in the 50s. We used to visit the vacant field there once in awhile and walk around saying the rosary. All that was there, was a vacant little wooden church which had fallen into disuse and disrepair. My mother even came across the wooden Tabernacle which had been put into the nearby stream there as a table on which to cut bait! My mother rescued and kept it for years, later returning it to the Diocese after the retreat center had been established. I hope readers will search for more of the details from your links. One detail I remember was that the Voice put the Common Book of Prayer in the chamber pot to dissuade the now-Catholic family from using it. Yup, a rather politically-incorrect occurrence that gets overlooked in the re-telling. LOL. Another detail, when the Voice imprinted the cloth with the burning hand print, it cried out saying that the burning flames of Purgatory were indeed real, inflicting real pain. [It is theorized that because souls do not have their body in Purgatory, that the pains are much more excruciating than on earth, since here on earth, our bodies help mitigate our suffering]. The Livingstons left the land to the Church for devotional use. At one point, because of the disuse of the land, the Church eventually established the retreat center because of the risk of losing that land. The land was to revert back to the family if the Church didn't use it! Thanks again for posting this story - maybe you can add more! What a beautifully written story. I felt I was there. I decided yesterday , come January , to have monthly mass for me while alive and for the holy souls in purgatory. $20 a month is an eternal investment. Now that you can take to the heavenly bank. Thank you Joseph, Anonymous, Betty, Tina and Victoria for your kind comments. I especially wanted to thank you for the stories and additional information that you shared. The details you shared are very interesting! Mr. Dallaire- I would love to know where you received your info for this article-it is well done & you show my favorite pic of Gallitzin! I have been researching Gallitzin for 25 years, interviewed A. Marshall,Franciscans@ Priest's Field, have collected & read ALL Gallitzin letters communicated w/the gr-daughter of the judge who released land to Church & read all possible on Clip (but not Fr. Curran's book) I would very much like to communicate further w/you and Tina & Anon. of Nov.21@10:49pm-you may give them my email if they would like. Dear Glenn-My research on Gallitzin has been extensive-25 years now. Your article was well researched & you used my fav. pic of him!I have a few questions of you and of Tina & Anon. of Nov.21 @ 10:49pm if this is possible. You may give them my email if they want. It is nice to meet you. Thank you for your comments. 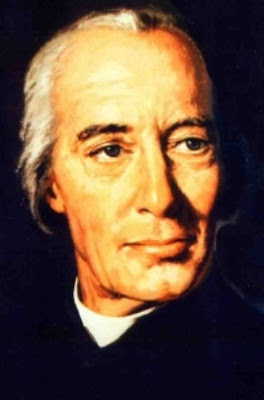 I am glad to hear of your devotion to Father Demetrius Gallitzin---he was an extraordinary priest, and I am joyful that his cause is progressing, and I pray that he might be canonised someday, God willing. This article is really a collection of information from a large variety of sources, primarily the ones that I listed at the bottom of the article, however I did take a good deal of info from newspaper and magazine articles that are on the net, along with tidbits from various books by searching within "Google books" which I have found to be an excellent resource. 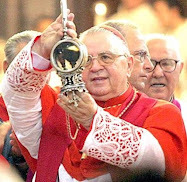 http//archive.org for anyone wanting to know the background of Fr Gallitzin. A very good website, thankyou Glenn. God Bless. In the image ("not made by human hands") of Our Lady of Guadalupe, the crescent under her feet is a symbol of Satan, which in the Aztec-Mayan culture was called "the feathered serpent" whose symbol was the crescent moon. 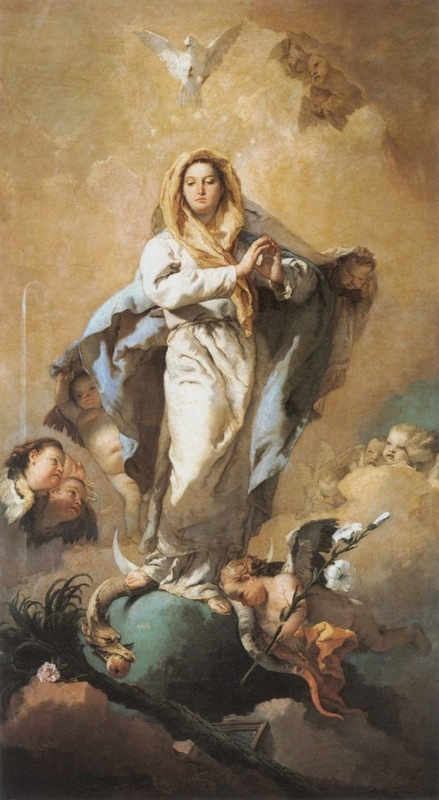 It means that Our Lady and conquors the Devil, in the same way that she tramples the snake on the Miraculous medal. One of the first stories I remember that my mother told me was of the Wizard Clip. As I got older and interested in history, I found that the story was recorded in local history books such as the 1883 Hardesty history. The deed was conveying for $1 from Adam Livingston and his wife, Mary, to Richard McSherry and Clement Price, for a tract of land lying along the east side of the Opequon Creek containing 34 3/4 acres and 20 perches for the use of Richard McSherry, Joseph Minghinni, Clement Pierce and their heirs. The tract of land originally was part of 203 acres granted by Thomas Lord Fairfax in 1760 to William Hiett, who sold it to Christian Fox, who sold it in 1772 to Adam Livingston, who was from Lancaster County, Pa. It started by stating that an interesting service was held on All Soul’s Day at the Priest’s Field near Middleway, Jefferson County, where the Right Rev. Dennis J. O’Connell, bishop of the Catholic Diocese of Richmond, Va., celebrated three Masses of the repose of souls connected with a strange event in our local history. The article stated that the Rev. Alfred E. Smith, editor-in-chief of the Baltimore Catholic Review and secretary to the late Cardinal Gibbons, said that the Priest’s Field story is the truest ghost story ever told. Adam Livingston came from Lancaster County, Pa., and purchased 70 acres and all went well until a stranger appeared in the night at Livingston’s house and asked for accommodations. He was taken in and cared for by the Livingstons. He appeared to be ill, and after several weeks, became much worse. The stranger realized his end was approaching, and told Livingston he was a Catholic and begged that he contact a priest. Livingston told him he did not know of one in the neighborhood and if he did he would not care for him to come to his home. The stranger died unshriven. The corpse was laid out and one of the neighbors, Jacob Foster, agreed to sit up with the body that night, it being the custom at the time. Foster lit candles in the room where the body lay, but the candles flickered and went out. Others were lit by both Foster and Livingston, but were mysteriously extinguished. Foster soon excused himself and went home. Livingston was not superstitious but just could not stay in the room with the dead body. It was a full moon night and the moon seemed almost as bright as day. As Livingston lay in an adjoining room, he heard horses galloping around and around the house. He jumped up and looked out the window at the moonlit lawn and road but there were no horses. He was glad when daylight came. He buried the stranger that same day in unconsecreated ground. Some hand-me-down stories say all types of things happened. His money disappeared. Some of his chickens’ heads fell off. His barn burned down and his cattle all died. All the crockery in the house suddenly fell to the floor and broke. Wood jumped out of the fireplace onto his floor. But all agree that the clipping started. The strangest manifestation of all was the sound of invisible scissors and the clipping of cloth. Blankets and sheets and clothing were clipped by the invisible shears, and though the sound could be heard, nothing was to be seen until the holes appeared in the garment or the sheet or whatever was attacked. The holes were in the form of half moons. This attracted attention from near and far. Many from Shepherdstown visited. Though some came with skepticism, most left believing. One woman had a shawl clipped full of holes. Before she entered the house, she had placed the shawl in her pocketbook for its protection. When she came out of the house, she took her well-liked shawl from her pocketbook only to find it clipped full of little half moons. One man seemed to have been treated extremely badly. He was a non-believer and entered the house wearing his swallowtail coat. When he came back outside, his swallowtails had been snipped to shreds. One night Livingston had a dream. He envisioned himself toiling up a steep mountain. Reaching the top, he saw a man in clerical robes and a voice said, “This is the man who can help you.” Things continued to happen. Finally, he humbled himself and went to Leetown to see Richard McSherry, a Roman Catholic. The following Sunday, Adam Livingston accompanied McSherry and Mr. Minghinni to the service in the little Catholic church in Shepherdstown to hear the Rev. Dennis Cahill celebrate Mass. After the service, Livingston told the priest his story and urged Father Cahill to come to his home. The priest sprinkled the house with holy water. Some of the manifestations were modified, but the clippings continued. Then Father Cahill celebrated Mass for the repose of the soul of the stranger, and the clipping stopped. The deed for the 34 acres was executed Feb. 21, 1802. The trustees died and the land was taken over by the Minighinni family. Eventually, a court case was brought over the 34 acres. Judge J. M. Woods decided in favor of the church and appointed J.A. Curran of Harpers Ferry and William Butler of Shepherdstown as new trustees. On June 23, 1922, Fathers Curran and Butler had a large gathering to celebrate the restoring of the property to the church. Priestfield is now a pastoral center and retreat. It is located along W.Va. 51, in Jefferson County near the creek and Berkeley County division line."